Apple Pay has been in the UK since last July and thousands of us have ben paying for goods and services by waving our iPhones and Apple Watches at the sensors - you can do this in any shop that accepts contactless payments, though many stores still don't seem very clued up on the service. The Apple Pay compatible UK banks include first direct, HSBC, NatWest, Nationwide Building Society, Royal Bank of Scotland, Santander and Ulster Bank, Bank of Scotland, Coutts, Lloyds Bank, Halifax, MBNA, M&S Bank, TSB Bank HSBC, First Direct and as of today, Barclays. MBNA says that alongside its own branded cards, Apple Pay is available to those holiding one of its football, travel and charity branded cards including cards from Arsenal FC, Chelsea FC, Liverpool FC, Manchester United FC, Tottenham Hotspur FC, Virgin Atlantic Airways, Emirates, Etihad, Worldwide Fund for Nature and the British Heart Foundation. Anywhere that supports contactless payments should be able to take Apple Pay, since it uses the same NFC technology as contactless debit cards. In addition to the 39 Apple Stores in the UK, leading locations for everyday shopping that will accept Apple Pay include Boots UK, Co-op, BP, Costa Coffee, Dune, JD Sports, KFC UK & Ireland, Liberty, LIDL, Marks & Spencer (M&S), McDonald's UK, Nando's, New Look, Post Office, Pret A Manger, SPAR, Starbucks, SUBWAY stores, Wagamama, Waitrose, Screwfix, Wilko, EAT, Costcutter, Five Guys, JD Sports, Dune and New Look. The Co-op is also supporting Apple Pay. Research commissioned by the Co-op shows that 65% of shoppers believe their phone will be all they need to pay for daily goods. A further third of Brits surveyed admitted they thought that paying with their phone was safer than carrying a wallet. As it already accepts contactless payments, Transport for London will also accept Apple Pay as will minicab firm Addison Lee (which also has an Apple Watch app as well as an iPhone one), so you can use your iPhone or Apple Watch to pay for your travel or daily commute. Apps that will accept Apple Pay in the UK, include Addison Lee, Airbnb, Argos, Booking.com, British Airways, Domino's, easyJet, Hailo, HotelTonight, hungryhouse, JD Sports, Just Eat, lastminute.com, Miss Selfridge, Ocado, Stubhub, thetrainline.com, Top 10, Topshop, Uncover, Vueling, YPlan, Zalando and Zara, among others. The Just Eat takeaway service says that 60 percent of its UK orders come from mobile devices already. MasterCard cardholders can locate shops which accept Apple Pay through MasterCard Nearby, a location-based app that identifies retailers that accept contactless payments. 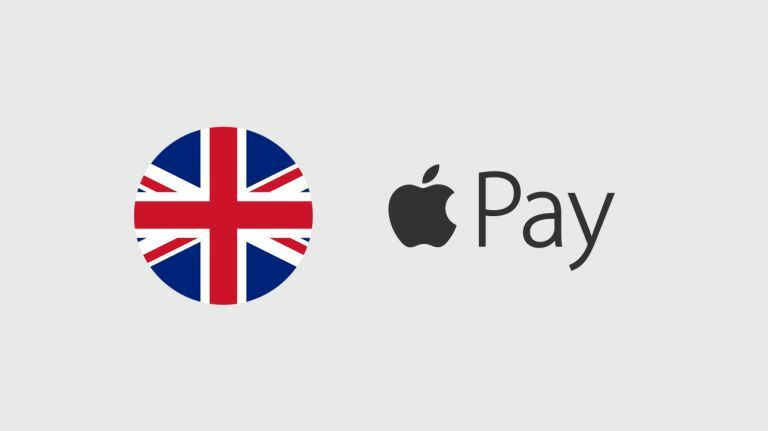 Apple Pay transactions are mostly capped at £30 (the same for other contactless payments). To use Apple Pay, you'll need to add your cards to Passbook. Your bank or credit card provider needs to support Apple Pay. When you want to pay for services, you can use your phone rather than your card for contactless payment. You can verify payments with Touch ID, removing the need for the use of a password or CVC code. Apple Pay encrypts all payment information, keeping your card details completely secure. According to MasterCard, when you add a credit or debit card to Apple Pay, the actual card numbers are not stored on the device, nor on Apple servers. Instead, a unique Device Account Number is assigned, encrypted and securely stored in the Secure Element on your device. Each transaction is authorised with a one-time unique dynamic security code. Will Apple Pay make a difference? So far, attempts to introduce mobile payments to UK shops have been met by a shrug from punters - not least because Chip and PIN has been present in the UK for some time (unlike in the US, where an attempt to pay by bumping your card on a device will see you burned as a witch in certain states Mobile payments have been around for a while but just haven't taken off. We remember O2 trialling the Wallet Phone back in 2007. ("The what phone?" you ask. Our point exactly.) In 2012, the network launched the O2 Wallet service. After a lukewarm reception, it closed in March last year. Google also launched its own mobile payments service, called Google Wallet. And it had the same amount of success. Google recently announced it would rebrand the service as Android Pay, possibly in an attempt to piggyback off the publicity generated by Apple Pay. Pinar Ozcan, Assistant Professor of Strategic Management, at Warwick Business School says that mobile payment systems have always faced challenges. "What has always been a struggle is to build a large enough ecosystem of merchants and bank partners in order to enable immediate adoption." If anyone can crack mobile payments, it's Apple. About 40 per cent of all smartphones sold in the UK are iPhones, so it already has a huge potential market share. Much of the infrastructure is already in place thanks to the rise of contactless payments on card, which we're also increasingly getting used to in the UK. "The launch of Apple Pay has the potential to shake up the banking and payments industries," says Danielle Levitas from App Annie. "Compared to the rest of Europe, the UK is a leader in mobile banking. This success...shows there is an appetite for change in how people pay for goods and the increasingly important role of mobile. “Innovation in UK payments means it's fast becoming the most advanced market in the world. We will see more change in the next five years than we've seen in the last 50, bringing even more convenience and security for consumers,” said Mark Barnett, President of MasterCard UK & Ireland. MasterCard estimates that by 2020, every shop in Europe will take contactless payments. From the start of next year, all new payment terminals will have to work with contactless. As the iPhone uses essentially the same technology, it seems Apple Pay could arrive at just the right time.